THE PERFECT CLASS | Our 10 ft, 20 ft, and 30 ft SRLs are labelled Class B and are OSHA Compliant and follow the standards of ANSI Z359.14-2014, providing fall arrest tool protection that you can rely on. They provide an average arrest force of 900 lbs, a maximum arrest force of 1,800 lbs and a maximum deceleration distance of 54 inches (?137 cm). The COBRA will act as your fall arrest guardian and is third party tested to protect you in the event of a fall. WHAT WE'RE MADE OF | The self-retracting lifeline line is made up of durable polyester webbing with high quality stitching and is enclosed by a small, black, polymer housing. This compact design allows workers to carry around their srl without worrying about tangling cords or bulky housing that weighs them down. Can be easily carried in the drawstring bag it comes with or your own tool bag! 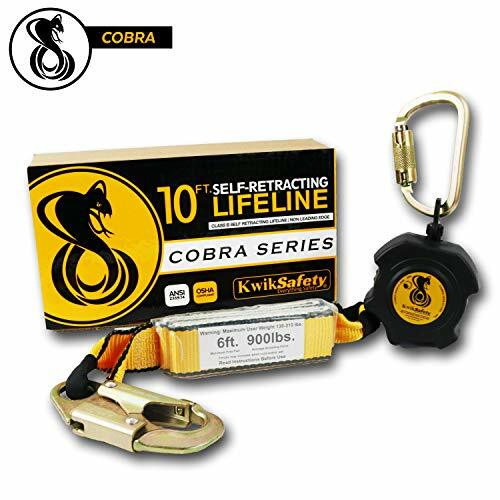 PERFORMANCE & CAPABILITIES | The 10 foot (3 m) COBRA self retracting lifeline provides ultimate fall arrest protection with a single (19 mm) wide polyester web lifeline line with a weight capacity of 130-310 lbs or up to 420 lbs (see instructions included). Suitable for use with horizontal lifelines and for horizontal use. Great retractable lifeline lanyard for roofers, roofing workers, construction workers, industry workplaces, shipyards, long shoring, and high elevation jobs. BRAKE SO YOU DON'T BREAK! | The non-leading edge COBRA has a quick brake action that senses your speed and provides a smooth and safe catch event of a fall, especially for falls at low heights. The speed sensing brake system allows you to continue to work without worrying about your srl lanyard locking up. The 6 ft and 10 ft SRLs come equipped with a high quality shock or energy absorbing pack that activates during a fall to reduce acceleration, impact forces, and minimize injury on the jobsite. Rebel self retracting lifelines (SRL) with super-tough yet lightweight composite housings are built to last providing an economical fall protection solution without compromising performance or safety. These Rebel SRL s feature a 310 pound (141 kg) user capacity, and a robust design to ensure longevity. Rebel is designed with the worker in mind, featuring a stackable space-maximizing design, high strength web lifeline and a built-in swiveling anchorage point. An SRL s lifeline will extend as the user moves away, and retract automatically enabling the user to move about within a recommended working area at normal speeds. Should a fall occur, a speed sensing brake system will activate stopping the fall and reducing the forces imposed on the user to safe levels. 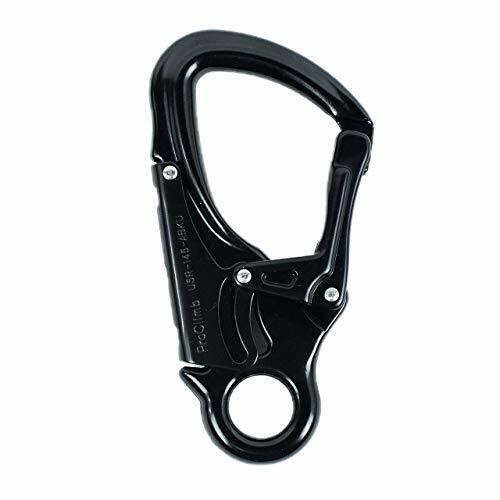 SWIVELING ANCHORAGE LOOP AND CARABINER: Limits lifeline twisting for smoother operation and added worker satisfaction, and the included carabiner provides a means to attach the SRL to an anchorage device. SELF-LOCKING SNAP HOOK ON LIFELINE: Automatically locks and closes for added safety, and its rugged construction is built to last. COMPACT, LIGHTWEIGHT DESIGN: Small size and shape make this device easy to use, relocate, store and can be easily used as a lanyard replacement. QUICK ACTIVATING SPEED SENSING BRAKE SYSTEM: Stops a falling worker within inches, providing more protection at low heights. SEVERAL CONFIGURATIONS AVAILABLE: Single and twin-leg models are available to suit various applications for jobsite versatility and flexibility. HIGH CAPACITY EXTERNAL ENGERY ABSORBER AND IMPACT INDICATOR: Specialized built-in external absorption system maintains safe fall arrest forces for users and tools up to 310 lbs. (141 kg) and provides a visual alert that the SRL has been involved in a fall. 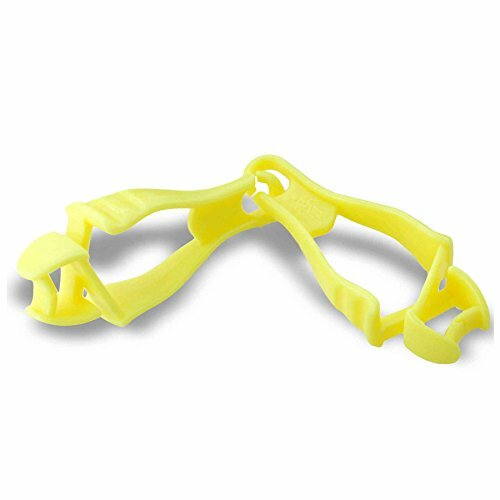 Anyone who work for the USPS P&DC, Post Office, Factory or Farm these Glove Grabber Clips are a must have truly and these come in handy. after you finish working just hook your gloves on the other end of the holder and you do not have to worry about losing them. They keep the gloves together and clipped to the work bag or work pants for easy access. It's nice not having to dig glove out of pocket...or having to put nasty gloves back into your pocket. Anyone with a farm will understand that. The new interlock belt clip is considerably more secure and prevents loss which can happen with conventional dual clips. WELKFORDER 18" D-Ring Extender is designed for a single user. Combined user weight, including clothing and tools must not exceed weight capacity. For use by one person only, with maximum weight of 310 lbs. The Snap hook must be connected to the dorsal D-ring of the full body harness. The "O" Rings are to be connected to the anchorage connector. 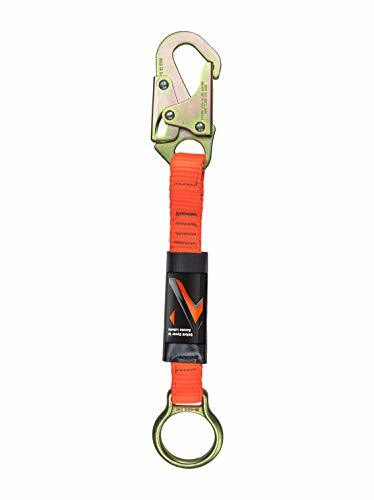 WELKFORDER WFD001 18-Inch D-Ring Extenders meet ANSI Z359.1-2007 are intended to be used with other components of a Personal Fall Arrest system or Personal restraint system . Applied to Construction, Climbing, Roofing, Camping, Window cleaning, and Surveyor etc. The webbing is made of 100% polyester Heavy Duty construction materials provides maximum security with breaking strength 5000lbs, compatible with the High tension stitching pattern of same breaking strength. 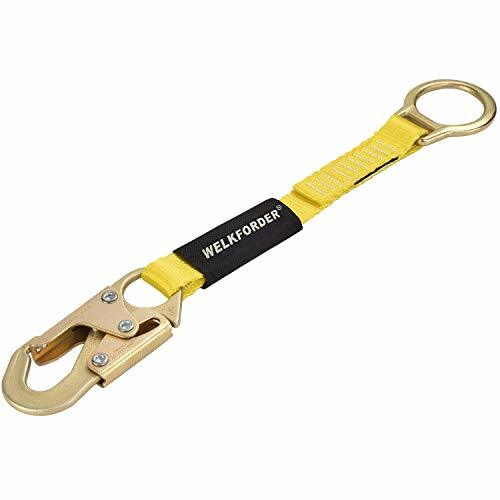 Snap Hook used on WELKFORDER 18-Inch D-Ring Extender marked with the ANSI Z359.12 standard are self-locking with minimal tensile break strength of 5,000 lb. and a 3,600 lb. gate rating. The Snap hook should be connected to the dorsal D-ring of the full body harness. WELKFORDER D-Ring Extenders webbing must be inspected for tears, cuts, fraying, abrasion, discoloration, or other signs of wear and damage. Sewn terminations must be secure, complete, and not visibly damaged. All Snap Hooks on product must be able to self-close and lock. Do not use this equipment if you are unable to tolerate the impact of a fall arrest. Age and fitness can seriously affect your ability to withstand a fall. Consult with a physician if in doubt. Minors, pregnant women, and anyone with a history of back and/or neck problems must not use this equipment. 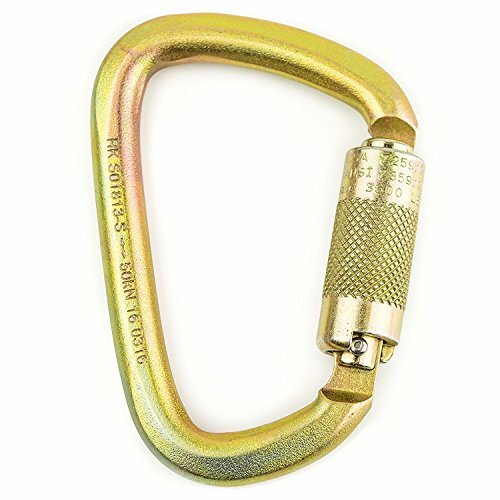 High strength modified "D" shaped carabiner (50kN body/ 3600lb. Gate) is Extremely strong and versatile with a large, snag-free, key nose and generous opening for easy clipping. We built it to provide the highest strength with its alloy steel body and twist Auto locking gate. Three directional gate tested at 3600 lbs. Its captive eye keeps rope or web from slipping. Making it a great choice for a wide variety of industrial and sporting applications. Spidergard is a registered & protected trademark. Any authorized reproduction, resale, or misuse of trademark will result in a fine and punishable in the court of law. 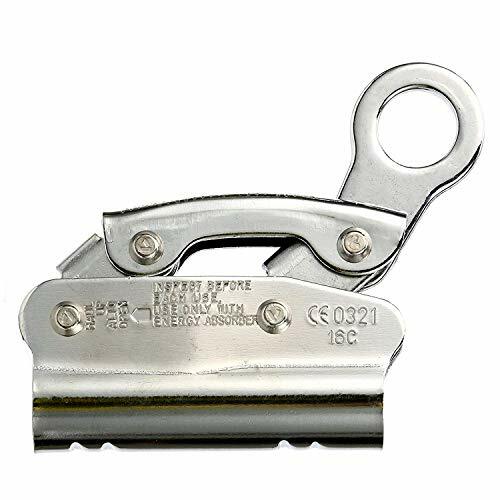 FEATURES: For permanent use on wood rooftops Meets standards for fall arrest Easy Installation Stainless Steel Comes with a D-ring on one endThe Guardian Fall Protection "RIDG-1 Ridge It Anchor" was designed for permanent use on wood rooftops. This model of Ridge It Anchors ("RIDG-1") comes with a D-ring on one end and is 11 inches in length. This product meets standards for fall arrest and is composed of stainless steel. The "Ridge It Anchor" is easy to install. 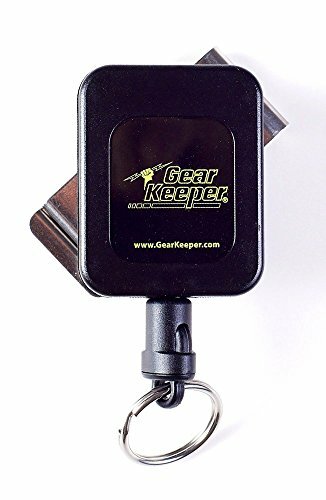 Gear Keeper RT3 low force retractor with 360 degree stainless steel rotating belt clip. Allows unit to pivot in any direction for ease of use and extended cable life. Securely attaches to belts (up to 2-inches) or pants. Stainless steel spring and hardware. Hi-Tensile spectra/nylon with Kevlar core. Top-notch construction: special high flex line, rotating mounting system for minimal line wear and interlocking belt clip for secure mounting. Stainless steel components survive in salt water environments. Disconnect-able end allows keys to be quickly and easily removed. Locking mechanism. 80 lbs breaking strength. Retracts 15-28 keys. 12-ounces retraction force, 42-inches extension. Key Retractor, Prevent Loss: Designed to ensure you never lose your keys! Attach it to your belt or pants for easy access. Our interlocking belt clip prevents slipping and ensures your retractor will remain attached. Ease of Use: Quick Connect (QC-II connector) allows the keys to be easily and quickly connected and disconnected. Your keys are secured close to your body and in the same place. Essential: For organizing your security and office keys, ensure your keys are easy to find and use. The retractor has a 12 ounce spring tension, a 42 extension, and features a 360-degree stainless steel rotating belt clip allowing for ease of use. Heavy-Duty Design: Key retractor for 15-28 keys has a stainless-steel spring, for durability and high break strength. Designed to survive in salt water environments. Trusted Brand: With over 20 years of experience, Hammerhead Industries is the name you can count on! 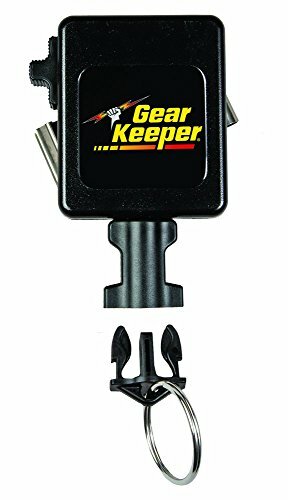 Gear Keeper features a range of key retractors to suit your every need. If you have any questions, let our team know. Pull-On Wrist Tool Lanyard with Carabiner: Offers connection points to Tool Tails for safe and easy tethering to help prevent dropped objects. Safe, versatile, and convenient, The Safe Clip will change the way you tie your horses. Designed by horsemen with years of experience training horses, The Safe Clip is designed to help safely tie horses that tend to pull back or panic when tied. Safer to use than breakaways and bungees and more convenient than a quick-release knot, The Safe Clip is both humane and educational for your horse. The Safe Clip's unique, award-winning design allows the rope to smoothly feed through when the horse panics and pulls back hard enough. This action offers the relief of pressure the horse needs to calm down while remaining safely tied, preventing risk of damage or injury. You can adjust the amount of drag on the rope by tightening or loosening the tensioner screw on The Safe Clip. 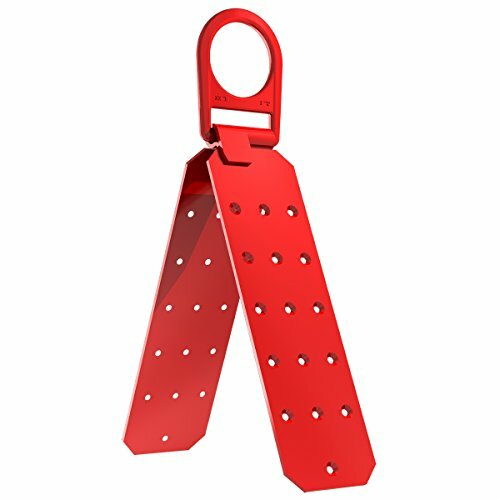 Not only can The Safe Clip help keep your horse safely tied in the barn, inside and outside the trailer, and on a high line, but it can also be used to hang and store hay bags, buckets, and other equipment in the barn or on the road. This product is made in the USA and is used worldwide by riders of all disciplines. The Safe Clip is endorsed by Josh Lyons (Lyons Legacy), Ralph Hill, Julie Goodnight, Warwick Schiller, Karen Scholl, Charles Wilhelm, and many more. Designed and manufactured in the USA - by horsepeople, for horsepeople. FallTech 7530 Steel, Trailing Beam Clamp Steel - Dual Ratcheting for Centering on I-beam, Machined Aluminum Bar, Steel Jaws w/Slider Pads, 4" to 14"
We know that the stakes are high. And, when it comes to worker safety, there are no second chances. That is why Fall Protection is all we do and we take it seriously. Advanced technical design and rigorous quality testing are the backbone of FallTech s manufacturing process. We train and staff fall protection experts that understand problems, not just fall protection products, and can identify fall safety solutions that save lives. At FallTech, we engineer innovative fall safety solutions as though lives depend on it. Because they do. 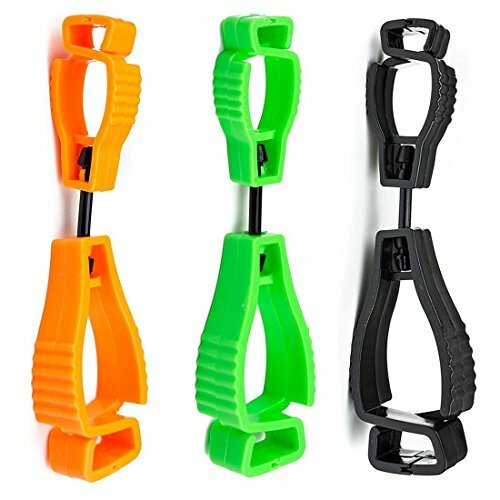 These premium quality carabiners are made of the strongest materials and securely designed to withstand 9000 lbs of force as breaking strength tested. These are suitable for a wide range of outdoor activities including industrial work, rock climbing, mountain hiking, camping, backpacking, rappelling, rescuing, etc. For Roman , Woven Wood, and other Shades. Allows for the easy Ceiling Mount. Wingnut operation allows for easy adjustments for a perfect strait installation. Wingnut Included.1 1/2 " Screw Post, 1 3/4" x 1 " Mounting Base. You will receive 10 brackets. For Roman, Woven Wood, and other Shades. You will receive 10 brackets. Wingnut operation allows for easy adjustments for a perfectly strait installation.Wingnut Included. 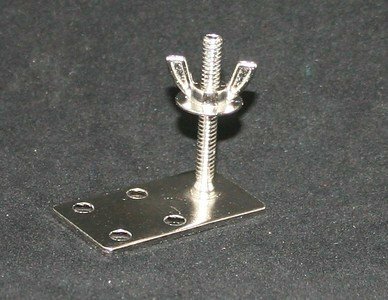 1 1/2 Screw Post, 1 3/4 x 1 Mounting Base. The Malta Dynamics 18" D-Ring Extender quickly and easily adds length to the back D-Ring of harnesses. 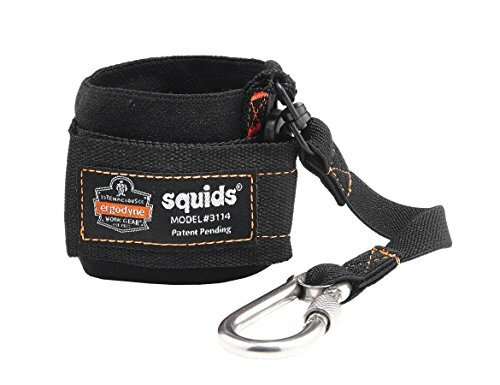 This enables easier lanyard attachment while wearing your harness. The snap hook component of the 18" D-Ring Extender attaches directly to the harness dorsal D-Ring. The 18" D-Ring Extender becomes the new connection point to the harness. Simply connect your lanyard to the D-Ring on the extension and you're ready to go. Industrial Strength Key Retractor: This is not your typical key retractor. Designed to insure durability for constant use and abuse. Unlike cable, the Spectra/Nylon Line was specifically engineered for industrial applications, flex's without fatigue. Secure: Stainless Steel 360-degree rotating belt clip with interlock feature...stays secure to your belt without inadvertently popping off. Rotation allows unit to pivot in the direction of pull to minimize line wear and fatigue. Quick Connect: QC-I connector has 2 benefits - allows keys to be easily removed from retractor and pivot ball connection reduces line wear and fatigue at the connection - typical failure point. Ideal Force: Available in multiple force options so that use is optimized for number of keys being used. Choose the right tool, so keys don't dangle or retract back too fast. 3oz/36 option for 1-7 keys, 6oz/36 option for 8-14 keys, 9oz/32 option for 15-21 keys. Trusted Brand: With over 20 years of experience, Hammerhead Industries is the name you can trust! If you have any questions, regarding your key retractor, please don't hesitate to let us know.